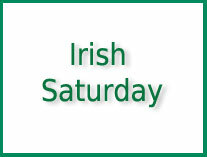 The second Saturday of most months is "Irish Saturday," when the library is staffed by IGSI members. These are good times to come in for Irish research. Records of the facts of births, marriage and death are the bedrock of genealogy. The best records of these events and the people involved were created by churches and governments. Learn how to find them, how to fully understand them and how to use them to best effect. Instructor Tom Rice, PhD, CG®, is a professional genealogical researcher, lecturer and writer. He is a past director of MGS, a past officer and current director of the Irish Genealogy Society International, managing editor of their journal, The Septs, and a Minnesota Historical Society genealogy help desk volunteer. Visit our Store to pre-register and pay. You may also register and pay at the session. 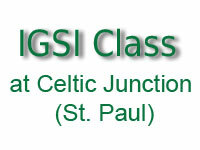 Celtic Junction Arts Center, 836 Prior Avenue, St. Paul, MN. Place is an essential element of genealogical research especially in Ireland. Learn about provinces, counties, civil and church parishes, baronies, Poor Law unions and townlands. Learn about the tools both in print and on the Internet that will help you find these places and understand them. 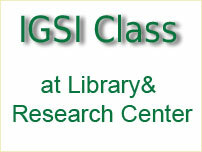 The second Saturday of most months is "Irish Saturday," when the library is staffed by IGSI members. These are good days to come in for Irish research. Give your family history research a boost. Learn how to use Ancestry.com (subscription site - available free for use at Hennepin, Ramsey, Dakota and other County libraries). Discover tried and true search methods to help locate some of those stubborn ancestors, such those hard-to-find ladies who married and changed their names. Learn about the major genealogy research repositories in Ireland and what you might expect to find in them. Hints and tips for research when in Ireland. The second Saturday of most months is "Irish Saturday," when the library is staffed by IGSI members. These are a good time to come in for Irish research. The library may close if driving conditions are poor. If weather is questionable, please check our website or the Minnesota Genealogical Society's website (www.mngs.org) before you get in the car.